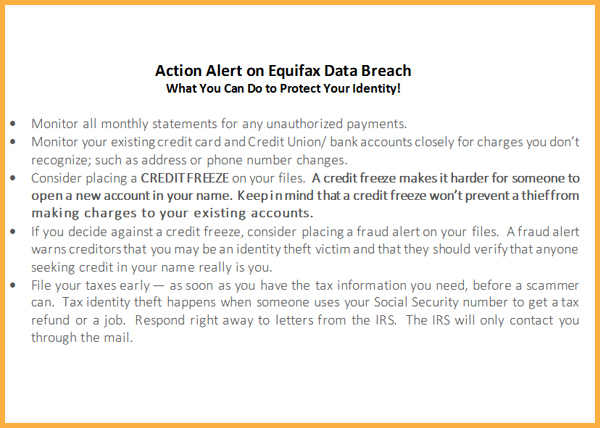 DO NOT use any card (Debit, Credit or ATM) that is tied to your transaction accounts for internet purchases. Please contact OHCU if you are traveling out of the country or on a long vacation. We need to notify the processors five days in advance of your trip. Check out www.antiphishing.org for fraud prevention updates. OHCU is recommending members using Visa CuCredit Cards and Visa Credit Cards to enroll in 'Purchase Alerts' which will benefit you as well as the credit union. This provides security, control and convenience for tracking your transactions. 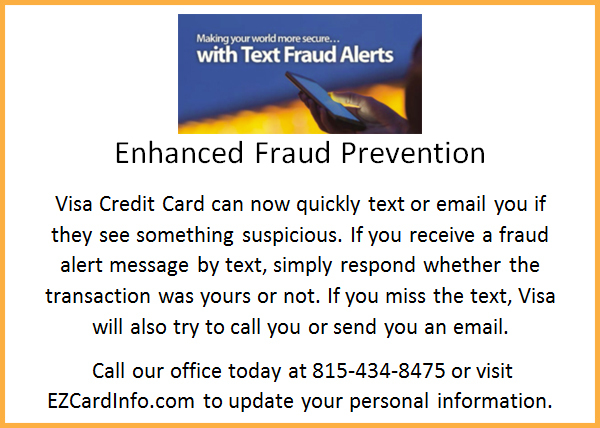 As a member, you will keep your account secure by getting alerts for transactions in real time and immediately identify potentially fraudulent activity. * Clicking on the above link will take you to the 'VISA Purchase Alerts' site in a new tab or window. Please continue to be aware of Phishing and bogus web sites. Remember, we will never ask to verify your personal information electronically. We have all of the information we need to process your account transactions. We also encourage you to register with Verified by Visa to protect your Visa charge card when you shop on the web. A link is provided on our Link Page. If you do receive email that asks for this information please forward it to the Federal Trade Commission at SPAM@UCE.GOV. If your feel that you are a victim of internet fraud please report it to the FTC at www.ftc.gov. If you have any questions concerning these issues do not hesitate to contact our office.